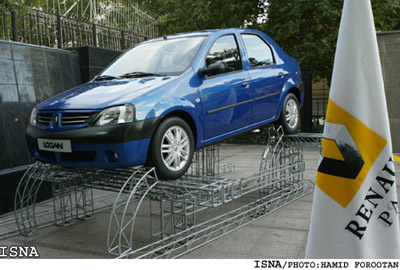 TEHRAN, June 23 (ISNA)-The first Logan in Iran was manufactured by Iranian experts on Wednesday. "According to Renault regulations the manufactured vehicles must be tested. Therefore the first and second vehicles will be taken for tests and the third vehicle manufactured completely in Pars Khodro will be out and ready by the 26 of July," said Saipa car manufacturer announced. "The first cars, of course are for the familiarization of personnel with the production line and identifying faults and improvement," it added in its report. According to the released report mass production is to be launched in mid September. Iranian car manufacturer, Kerman Khodro and Skoda are near agreement regarding the import and then manufacture of Skoda cars in Iran. Skoda currently is trying to modify its vehicles so to meet Iran's conditions, but from the primary agreements made between both sides it seems this issue is definite. 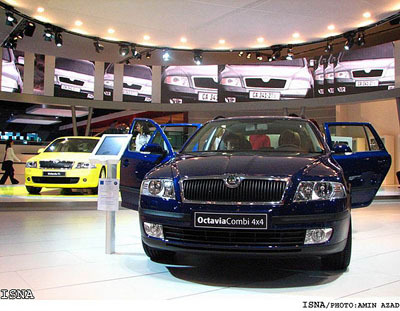 This is while Skoda one year before this in its pervious attempt to enter Iran's markets after studying the conditions had decided that investing in Iran's markets was risky and therefore had backed down from the deal.